BEST WESTERN Toubkal Hotel is ideally located in the heart of the economical capital, at walking distance from fair ground, port, future Marina, the old and picturesque medina, best business centers, nearby the major administration offices, shopping centers and the prestigious Hassan II Mosque. This luxurious hotel offers 220 rooms among which 12 suites, quite endowed with indispensable conveniences for a stay under the sign of luxury and refinement for business and leisure activities. The hotel kenzi basma offers 113 rooms, including 12 suites, all well-equipped with the latest technology and outstanding comfort, always customizing service to guest’s requirements. Just a few meters from the Hotel, you will find one of Casablanca’s liveliest districts, surrounded by museums, the Church of the Sacred Heart, restaurants; cafés and a multitude of shops, handicraft and trinkets or designer mall coexist side by side in this city of distinct contrasts. With stunning views of Casablanca’s harbor and the Hassan II mosque, Le Royal Mansour Méridien is set in the heart of the economic capital of the Kingdom of Morocco. Once a French colonial centre, Casablanca was a strategic port during World War II and continues to be an area rich in art, history, and culture. The hotel’s many amenities include meeting facilities, banquet halls, a fitness center, a spa, and La Douira restaurant, which serve classic Moroccan cuisine. Some of Casablanca’s best sites are in close proximity to the hotel, including the Place des Nations Unies, New Medina, the winding streets of the Old Medina, and the Central Market. The Oum Palace immerses guests in the rich culture and refined elegance of Casablanca. One of the most prestigious, the hotel offers an exceptional unparalleled for any occasion, all in a Sophisticated atmosphere, we also offer an equipment with modern audiovisual technology. 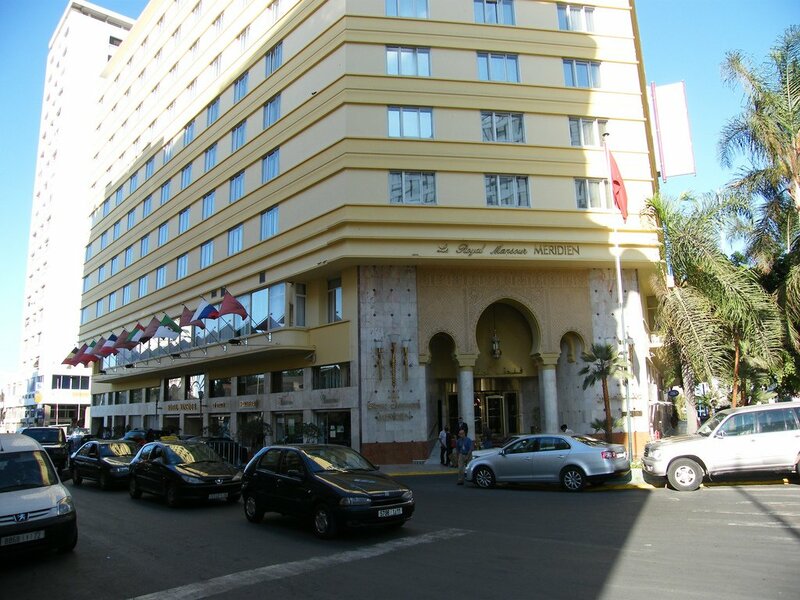 Sheraton Casablanca Hotel & Towers is conveniently located in the heart of the city. We are surrounded by the city’s major sights, amazing palm-lined boulevards, and the shopping and business district.